Local tax is not included. The total amount is due on arrival. Cancellation fees are as stated in the General terms and conditions of the Upper Austrian Youth Hostel Association. Place of fulfilment is the Youth Hostel Bad Ischl. Legal domicile is Linz. Front desk's operating hours: Monday- Sunday from 8.00 a.m. - 1.00 p.m. and from 5.00 p.m. - 8.00 p.m. Please let us know in advance if you would like to check in out of hours. 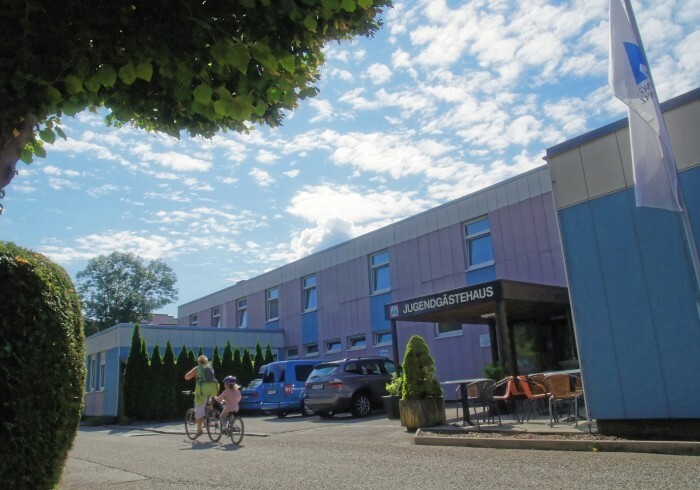 The modern youth hostel is situated in a quiet neighbourhood yet in the heart of the town of Bad Ischl, next to the adventure outdoor pool with view of the famous Kaiservilla.